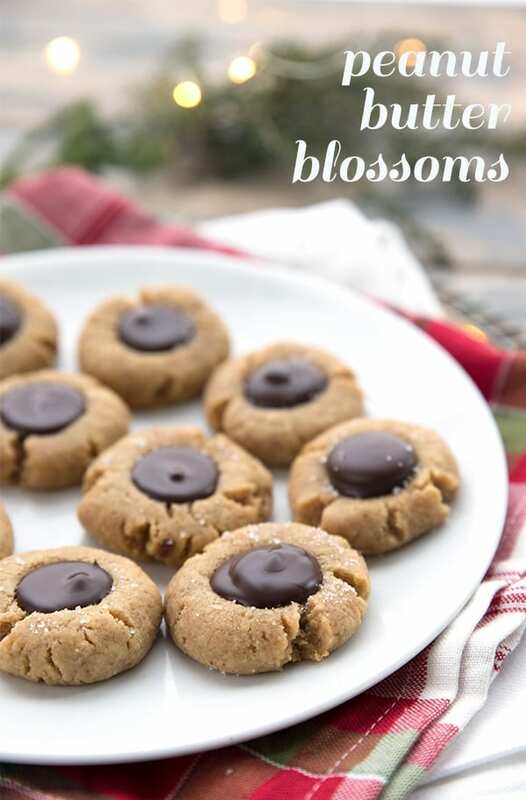 Peanut Butter Blossoms have been keto-fied! Soft low carb peanut butter cookies with a “kiss” of sugar free chocolate in the center. 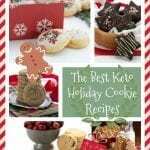 These easy Keto Christmas cookies will help you make it through the holidays. My low carb peanut butter blossom cookies get a shiny new update with a brand new video! They were first published back in December 2013, but since then I have found ways to make them easier, softer, and even more delicious. You have no idea how much it pains me to say this but I might be getting a little tired of low carb Christmas cookies. And if you know ANYTHING about me, you know that this is akin to heresy in my books. Every year, I look forward to the Christmas baking season with all the eagerness of a child awaiting the arrival of St. Nick. I start writing down ideas for all the goodies I will make months in advance, envisioning the pretty boxes of homemade baked goods for friends and family. I always have to hold myself back from starting too early, lest this very thing should occur…that I should get sick of Christmas cookies before Christmas is actually here. Fret not, dear readers. I shall recover. By the time Christmas actually rolls around, I will be back in top form, enjoying all the keto Christmas cookies I have made and frozen in advance. 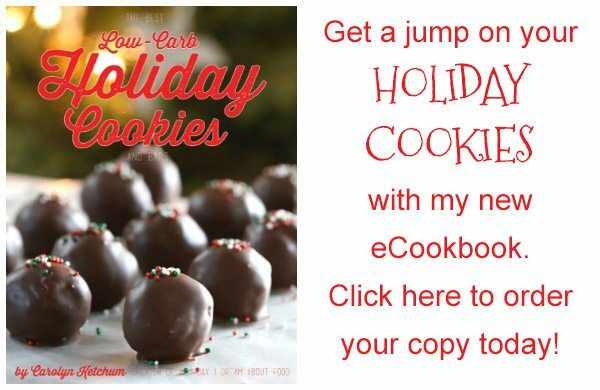 I have tackled a lot of the classic holiday cookies that everybody loves and misses when on a low carb or gluten-free diet. The cookies of our childhoods, the ones we made with our parents and that bring out that nostalgia for Christmas Past. Of course, we don’t all share the same past and we all have different ideas of what constitutes a classic Christmas cookie. But I have tried to hit the ones that everyone knows. To that end, I created low carb, gluten-free versions of Gingerbread Men, Spritz Cookies, Snowballs and Shortbread. And one of my all time favourites, which was a huge coup for me, low carb Mincemeat Tarts. That one fell a little flat with my American audience, since mincemeat isn’t as common here as it is in other realms. But I hardly care, I’ve got 20 little tartlets in my freezer waiting to be devoured on Christmas Eve. Peanut Butter Blossoms were not something I grew up making and eating at Christmas. But once I moved to the US, they seemed to be on everyone’s holiday cooke tray. And seriously, what’s not to love about a big soft peanut butter cookie with a chocolate kiss in the center? But for a keto version, both the cookie and the kiss needed a little work. Or rather a lot of work. A combination of low carb flours: For the keto peanut butter cookies, I originally had a recipe that was made mostly with peanut flour. 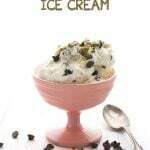 I loved the flavor but the cookies were a bit on the dry side and were stiffer than I’d like. So I re-worked them last year and found that less peanut flour and more almond flour produced a more tender cookie but still with plenty of peanut flavor. Yes, this recipe takes THREE different flours but it works best. If you want to skip the coconut flour, that’s fine but you need to make it up with a bit more peanut flour. Low carb sweetener options: I always use granular Swerve Sweetener. 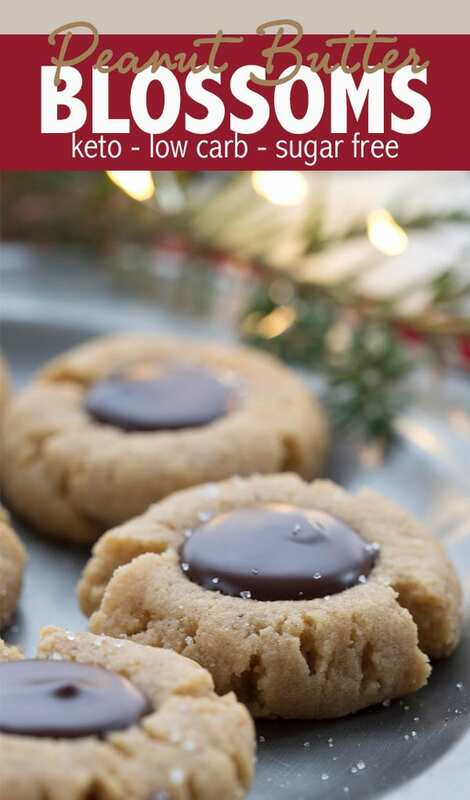 But the new Swerve Brown would make for some delectable peanut butter blossoms, and you could try Bocha Sweet as well (although I worry it would make the cookies a bit too soft). Use your hands: You want to roll these into balls and then press down with the heel of your hand. Or use a glass coved in plastic wrap to press them down. 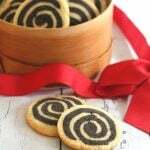 Then use your thumb to create an indentation in the center of the cookie. As they bake, the cookies will puff up a bit so you need indent them again when they come out of the oven. They will be very soft at that point. If you want to get that same “rolled in sugar” look, I suggest sprinkling the cookies with a little granulated sweetener when they are hot out of the oven. Easy sugar free chocolate kisses: Once the cookies are cool, you simply make a thick chocolate ganache to put in the center. All you have to do is melt some sugar free dark chocolate, such as Lily’s, with some butter. I do this in a pan over low heat but you could also do it in the microwave. Let it cool for a bit so it thickens before you add it to the cookies. It makes a better chocolate kiss that way. Big batch baking: Let me just say that this recipe make a LOT of cookies. About 60 of them. It is designed for sharing and gift giving, but feel free to cut it in half if that works best for you. Although the process is very different than the conventional version, the flavour is spot on. And dare I say that using good sugar free chocolate instead of a Hershey’s kiss results in even better flavor? 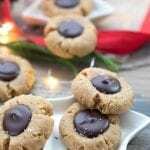 Peanut Butter Blossoms have been keto-fied! 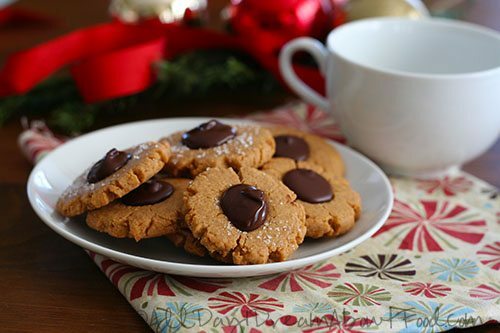 Soft low carb peanut butter cookies with a "kiss" of sugar free chocolate in the center. 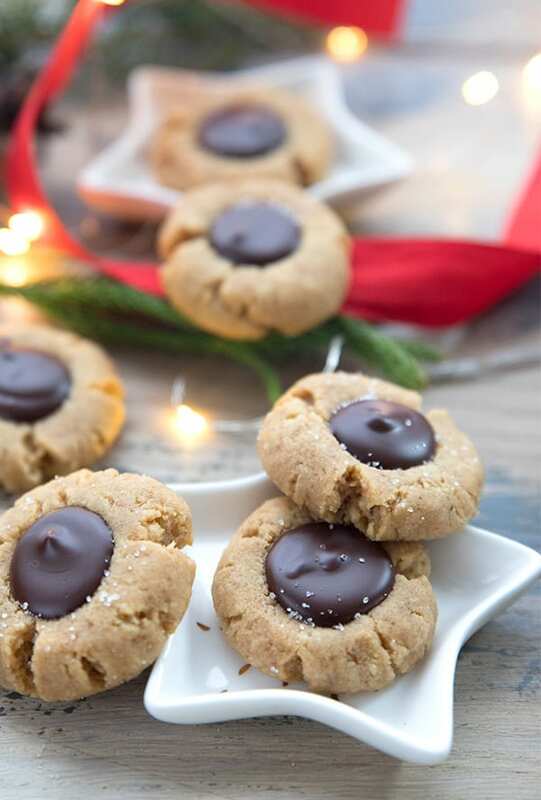 These easy Keto Christmas cookies will help you make it through the holidays. 1/4 cup Swerve or granulated erythritol or xylitol for sprinkling optional. Preheat oven to 325F and line several large baking sheets with parchment paper. In a medium bowl, whisk together peanut flour, almond flour, coconut flour, baking powder, and salt. In a large bowl, beat together the peanut butter and butter until creamy. Beat in sweetener, and then beat in eggs and vanilla until well combined. Beat in peanut flour mixture until dough comes together. Form dough into 1 inch balls and place 2 inches apart on prepared baking sheets. Wrap the bottom of a glass in plastic wrap and press each ball into a flat round, about 1/3 inch thick. 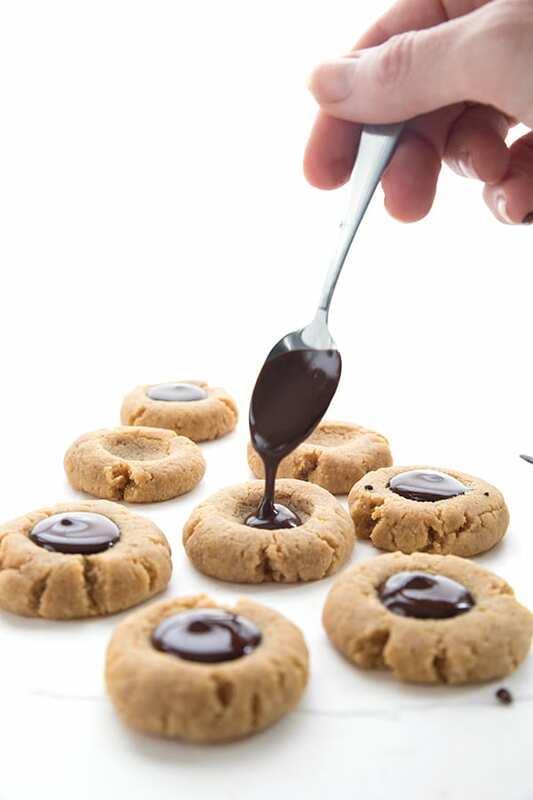 Use your thumb to press an indentation into the center of each cookie. Bake about 15 minutes, until puffed and just barely beginning to brown (if you put more than one cookie sheet in the oven at a time, keep an eye on the one on the lower rack to make sure it doesn't brown too quickly). Remove from oven. If needed, re-form the well in the center by gently pressing with the end of a wooden spoon. Sprinkle with granulated erythritol or xylitol of desired. Let cool on pan 5 to 10 minutes, and then transfer to a wire rack to cool completely. Repeat with remaining dough. 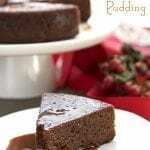 For the chocolate kisses, melt butter and chocolate together in a small saucepan over low heat. Let cool until thickened enough to "dollop" into the well in each cookie. Definitely not sick of Christmas cookies yet! Thank you for all the wonderful cookie recipes you’ve given us this season! I don’t know how you do what you do but definitely not tired of anything you put out and appreciate all your time and energy to make our lives better! Would hazelnut flour change the flavor too much for these as I don’t have peanut flour? I think you could get away with hazelnut flour, but it’s not as finely ground as peanut. If you find your dough too soft or sticky to roll or shape, add another few tbsp of coconut flour to “thicken” it. 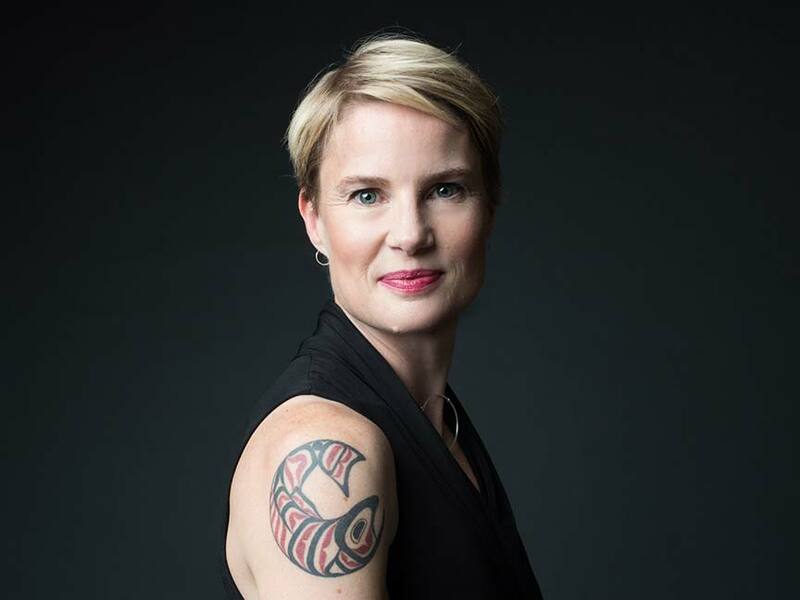 I love your creations, and your energy and your photos! Please know that you’re work is not in vain for all those who admire you and relish what is coming in our Inbox from you! 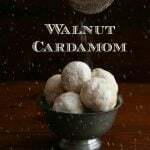 I made your Cardamom Snowballs for a gathering on Saturday and they were very well received, and I even had my DH help. But, I love peanut butter and I have the peanut flour in the cupboard. My question is about the chocolate kiss, what about substituting the butter for melted cacao butter? You can sub cocoa butter for the butter but instead of a soft ganache-like center, it will be quite hard. I was just craving these cookies! Would you say these are a soft peanut butter cookie or a more firm/crisp cookie? They are soft, but definitely thicker and denser than cookies made with flour. These used to be one of my favorites as well! We never made them but I always had them at my BFF’s house every Christmas growing up. Fun to see a low carb version 🙂 Merry Christmas! 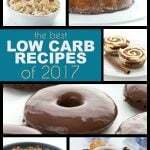 Carolyn, I thank you for all your low carb treats you offer year round. I always enjoy your blog and hope you have a wonderful Christmas and New Year. Thank you, you too! Merry Christmas. These look fantastic and are one of my favorite cookies, so I’m excited that you’ve cracked the low carb code on this one! Also, I am LOVING that starlight mint napkin that’s in the photograph!!!! 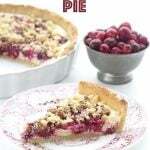 Carolyn, I so appreciate all your hard work in creating these wonderful recipes for us. I was so excited to find your blog earlier this year after finding the need for gluten free food in my diet. Thank you and wishing you and your family a most blessed Christmas and a wonderful Happy New Year! Thanks Carolyn. You are brilliant and nervy to take on all these baking challenges. Bravo! Thank you so much for your fruit mince tart recipe. I made them and had them today (Christmas). Delicious! Here in Australia we love them too. I am so happy I found your site and even more happy that all your recipes work and are so nice. My dad had them last night for Christmas dinner and raved about them. I was so thrilled because like me, he loves mince tarts and he couldn’t believe they were low carb! These cookies look awesome! Are they ketogenic friendly? I’m a little bit more extreme because of the sport that I compete in. I don’t follow a ketogenic diet so I can’t say for sure. But they are very low carb so if they keep in in ketosis, I suppose they are. I tried to respond to you yesterday but I don’t see my response. Not sure what happened and I suppose it could be the peanut flour. I can’t really say for sure. If you want a less dry/crumbly one, maybe cut back on the peanut flour by 3 or 4 tbsp? Thank you, Carolyn. 😀 I’ll try that. 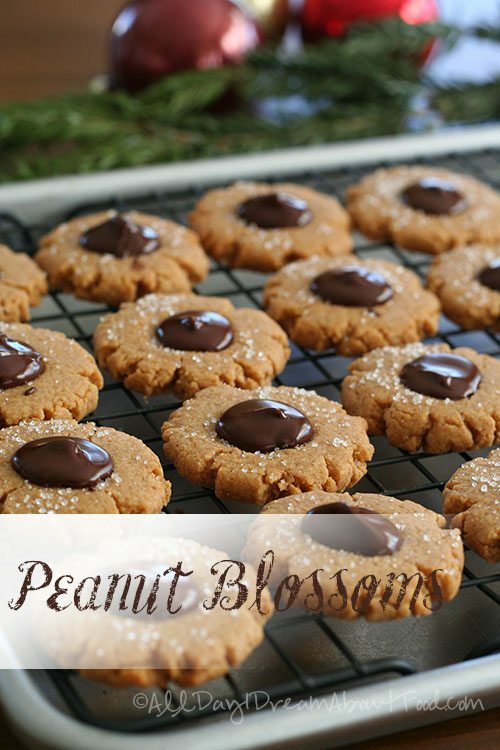 I plan on making these again, since my daughters love peanut butter and chocolate cookies. Actually, they love just about everything from your blog, especially your pumpkin pancakes, lately. Thank you, again. I actually have a similar recipe. It is my husband’s favorite low carb cookie. I don’t know if it is because of the peanut flour (Protein Plus) I use or what, but I have to cut the bake-time way down to about 8 minutes or they are dry as sawdust. That being said, don’t over-bake them and they should be great! That’s a great tip, Thank! My first batch was super crimbly & very disappointing. Fingers crossed that the second batch comes out better! Any recommendations for a favorite brand of creamy peanut butter for these? Thanks! hola Carolyn, como puedo reemplazar los edulcorantes de tus recetas, no puedo con ellos y hacen daño. Muchas gracias por compartir tantas ideas. Y Feliz Navidad..! Swerve measures like sugar, so you can just use any sweetener you prefer, and use as much as it would measure equivalent to sugar. Hope that helps! 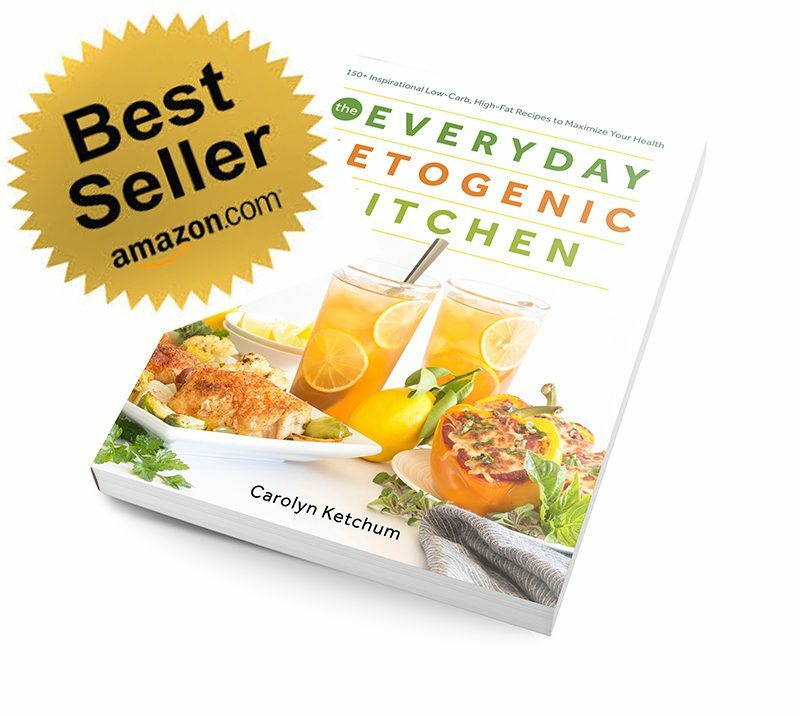 Hey Carolyn – Love your recipes, creativity, and humor! For this one, are you using regular creamy peanut butter or the ‘all natural’ kind? I know the ‘regular’ has sugar but wanted to double check which one to use. Thanks so much! Perfect, thanks so much. Hope you and your family have a wonderful holiday!!! New to Keto eating and cooking. Holidays are here and not complete until cookies, bars,etc are made. Today I made your Peanut Butter cookies and they turned out wonderful! I subsituted the peanut flour for almond flour and my cookies came out so nice, soft and not too dark! Thank you so much and enjoy your holidays! I know I am really late, but I would like to know if you could use peanut butter powder instead of peanut flour. Yes, it’s essentially the same thing. I’ve discovered, however, that it’s better with less…only do 1 cup. Could THM Baking blend be substituted for the almond & coconut flours in this recipe? I am not sure, I haven’t used it in a while. My experience with it is that it’s quite dry so I would go light on it and add more as you need. Thank you! I am going to try it and see. 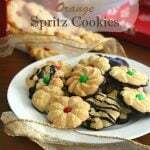 I made these last year and they are delicious!!! Is it one cookie per serving? I didn’t see that in the nutritional info. Thank you! It’s actually 2 per serving. This makes about 60 cookies! (you can always make a half batch). Fixing my nutritional info now. It’s one that didn’t transfer over well when I switched recipe cards. Omigod, how did I ever miss your Mincemeat Tarts????? Probably because I didn’t find you til maybe 2014? Anyway, mincemeat is one of my favorite things (along with Fig Pudding)… I used to make it from scratch (complete with suet) and eventually developed a favorite with green tomatoes! Needless to say I’ll be starting on dried cranberries this very week in order to make this a VERY special Christmas. I can’t believe these are low carb… They’re SO delicious!! These are a favorite cookie at my house. Thanks for coming up with a healthier version! Such a classic cookie and has been my favorite for years! 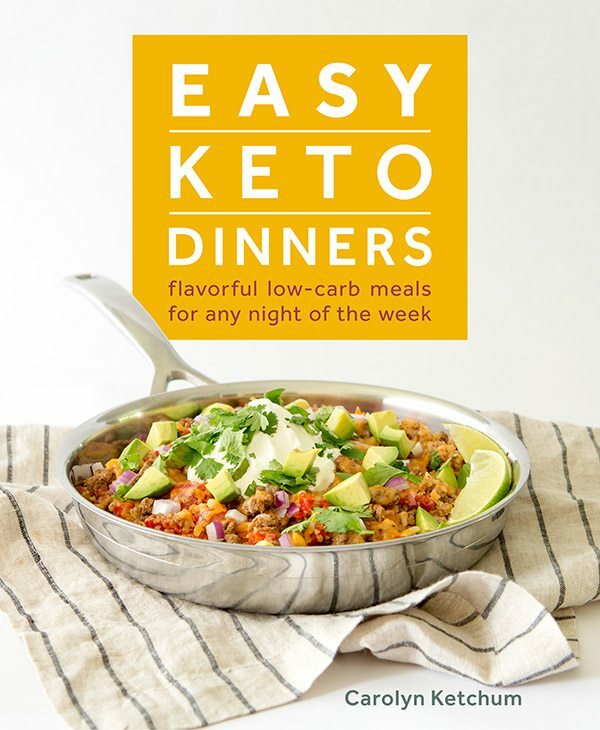 Love this low carb version. Loving this low-carb version of our favorite cookie! I need to make a new batch soon! Peanut Butter Blossoms are the best! 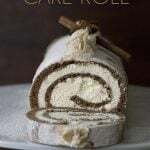 A must make at Christmas time. Do you think I could make my own peanut flour first by processing roasted, salted peanuts in a food processor? I have made peanut butter this way, but maybe the flour would not be fine enough? No you can’t, not just because of the fine-ness but because the flour is “defatted” which means about 50% of the fat has been removed. It’s part of what makes it so powdery and dry. I am dying to try this recipe but I do not have peanut flour. Can I use more almond flour and also increase the amount of pb? Would this change the recipe too much? Almond flour is higher in fat and not as fine. You can try a combo of almond and coconut flour but I just can’t really guide you since I haven’t tried it myself. These are best keto recipe I have made so far! Thanks for the recipe. Hi, Your comment that you freeze your Christmas cookies has me intrigued. I thought that because the cookies don’t have wheat flour they might not freeze well. So, I am doing a baking blitz of several of your cookies on the 23rd to have them ready. But my life would be easier if they did freeze well!. Have you tried freezing Nanaimo bars, Gingerbread cake, pecan toffee bars and butter pecan cookies?? Wheat flour has nothing to do with whether or not something freezes well. The butter pecan cookies and toffee bars both freeze well. 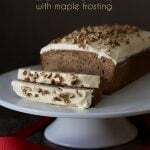 So will the Gingerbread cake except frost it AFTER you thaw it. I worry that the filing of the Nanaimo bars will change in the freezer. Can you use PB fit as the peanut flour? Readers have tried it and said it works well. can you substitute peanut butter flour for peanut butter powder and what would be the quantity for this recipe ? Can I substitute pb2 for peanut flour ? I’ve never tried it myself but other readers say you can. Peanut flour! I’ve never heard of it before. Will have to do some research. Hopefully, I’ll be able to find it on Amazon since we live in the boonies. My husband will be delighted if we can get it. Im curious about the chocolate… does it set up firm, similar to a Hershey kiss? And stay firm at real I’m temp? 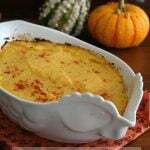 I ask, because I purchased large kiss silicone molds to use with this recipe. I could just use straight up Lilly’s chips, but feel like those would almost be too hard. It firms up quite a bit but not quite as hard as a Hershey’s kiss. It’s more like a thick chocolate glaze on a cake that firms up. They are fine at room temp unless it’s hot. I’ve given them away to friends and had no issues. Awesome. Thanks for the response. I’m going to try them in the mold today and let you know how it goes! I’m in the Midwest, so heat is not an issue this time of the year ;). Your site and cook books art my go-to. 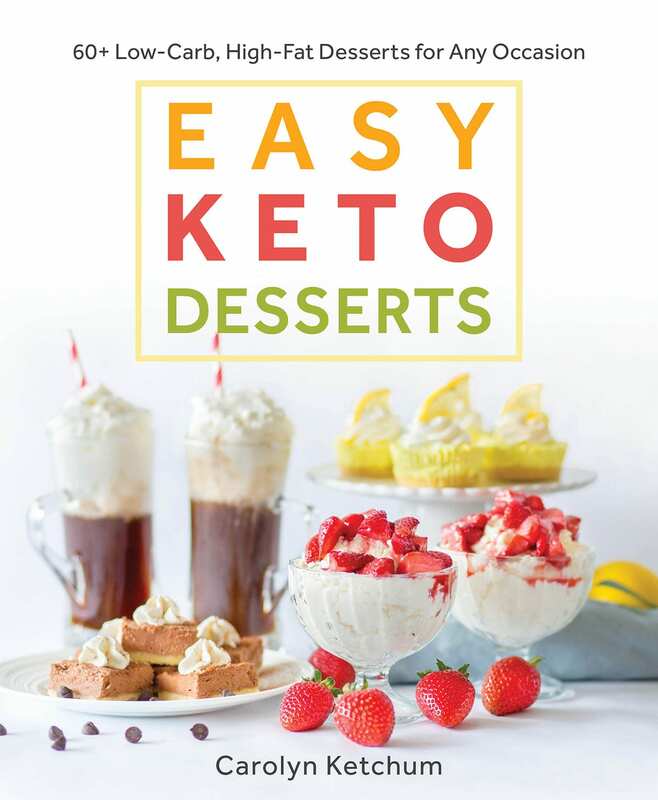 Consistently reliable recipes, which is not necessarily easy to come by in the keto world. Thank you for your hard work. It is people like you that make this WOE sustainable long term — Game changer. Have a great holiday! Just finished making these and they taste just like the ones my mom used to make every Christmas. Thank You, Carolyn for another great recipe. I’m so glad that I found your blog. We have absolutely loved many of your recipes and I’m sure we’ll love many more! Thank you for all you do. That being said, like some other reviewers when I followed this recipe my cookies came out dry- like boxed pecan sandy dry. When I reduced baking time they were still dry and not very peanut buttery. Do you weigh or volume measure? Just trying to figure out what went wrong as your recipes are always great! Maybe that I had a different brand of peanut flour? For anyone who struggled like me. I made a second batch where I weighed instead of volume measured. I added 3tsp unflavored gelatin a small amount (didn’t measure sorry) of peanut oil (wondering if my peanut butter or peanut flour was dryer) and reduced cooking time to 12 min. 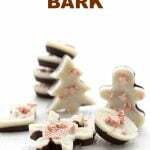 I also made the “kiss” gnocche with 3/4 dark Lilly’s and 1/4 milk chocolate Lilly’s. These came out like the peanut butter cookies of my youth and my household quickly became obsessed. You know, this recipe actually works as is and I have made it multiple times because my kids love it. Previous reviewers sometimes found it dry so I re-worked the recipe a few years ago and posted that. Since then, yours is the only review that has found them dry. So something is amiss on your end, although it’s very hard to say what. Can I ask what brand of peanut flour you are using? What really strikes me as strange is that you say they weren’t very peanut buttery, but you used peanut flour, which should make them MORE so, not less. So I am stumped. Can you freeze the raw dough to make later? Since it’s such a big batch? If so for how long will it last and any tips before freezing? Yes you totally can! I have. Or you can do a half batch. Wrap it up tightly to freeze and then just thaw to room temp. I made these for an intense springtime peanut butter chocolate craving. I halved the recipe as suggested for personal consumption, used half brown Swerve/half regular granulated Swerve, reduced the peanut flour to a half cup for the half batch and also reduced the cooking time by a few minutes. Just ridiculously amazing. Crave buster.